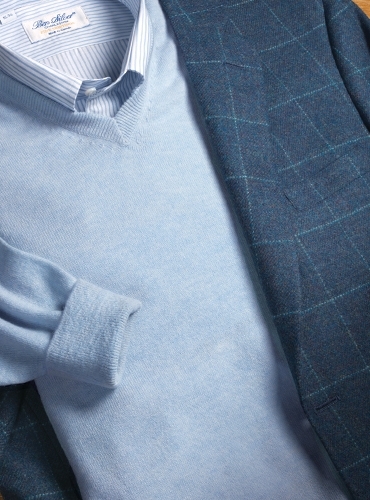 Johnstons of Elgin has woven this 350 gram pure wool fabric for us in a classic storm blue ground with a sky blue windowpane, and we have cut it in a full range of sizes in our classic tailored two-button silhouette with a center vent. 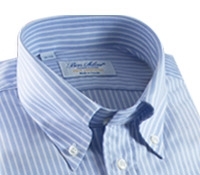 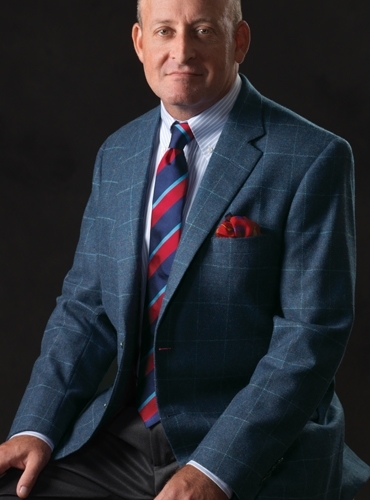 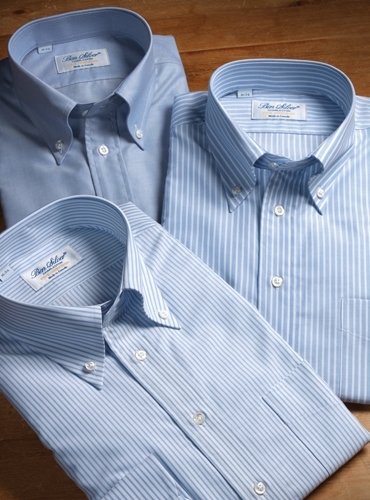 This essential addition to your winter wardrobe is well complemented by this blue stripe oxford button down shirt, one of our refined 140s thread count Thomas Mason Gold oxford cloth button down collar shirts, cut as all of our button downs with a perfect collar roll, generous gentlemen’s cut, and with Mother-of-Pearl buttons. 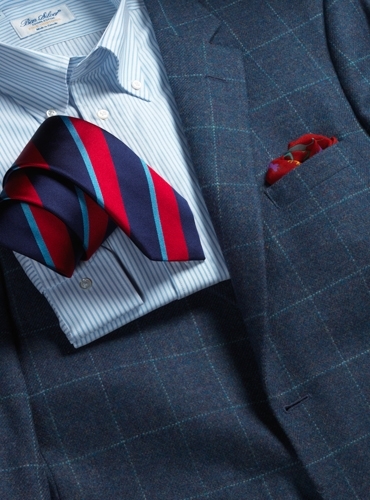 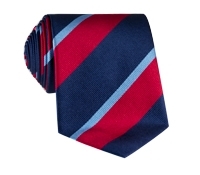 We propose one of our authentic British regimental neckties, Beddington Cricket Club, in new red, navy blue and Eton blue, and our whimsical dinosaur pocket square. 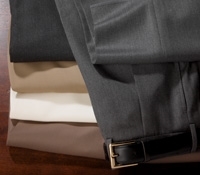 Dark grey gabardine trousers complete the ensemble.